I have benefited from a wide range of expert knowledge available on the web, but there are a lot of poor quality websites too. Osentia - Fracture risk assessment based on fingernail clipping. 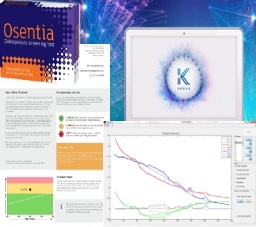 Kerus - Cutting edge software for designing complex real-world clinical studies in biomedical science. Matlab Central - Community for Matlab users, forum and file sharing. Stack Exchange - forums for all manner of technical disciplinces, including programming, statistics and science.